However the problem of switching on and switching off the LED lighting remains, and sometimes, the street lighting is switched on during the day also. 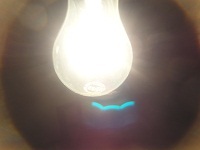 However as LED lighting is used instead of mercury vapor and other lighting, less electricity is wasted. It would be interesting to know who is regulating the switching on and off of street lighting, whether it is automated or switched on at a specific time daily. Most LED lamps are from China, from companies like SG Group. produce a wide range of led lighting products, including indoor&outdoor LED lighting. group company have 1000 employeers . have own Science Pack in Shenzhen. Most people, especially young women are told to avoid going out at night, because crimes are more likely to take place at night, especially in areas which are not well illuminated . In the dark the victim will often find it difficult to recognize the person who has assaulted or committted any crime on her or him, and it will be difficult to identify the person who committed the crime at a later date. The lack of lighting makes it difficult for the victim to fight back, especially if the attacker is used to working in the dark.